Russia insists two Belgium warplanes flying from an Air Force base in Jordan attacked a village in Syria, citing radar data. Belgium denies conducting any airstrikes. Brussels’ continued denial of the jets movements in the area is Belgian Defense Minister Steven Vandeput “deliberately deceiving people in Belgium and elsewhere in the world, or his subordinates and the Americans are lying to the leadership of Belgium,” Russian Defense Ministry spokesman General Igor Konashenkov said. 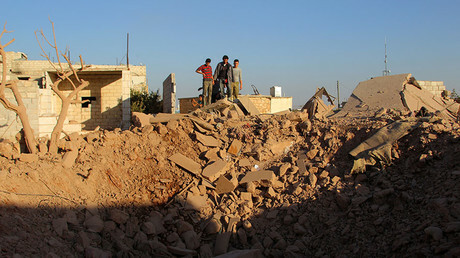 An airstrike on the village of Hassadjek in Aleppo province reportedly killed six civilians on Tuesday. Russia has now reiterated its accusations against Belgium, saying data from Russian and Syrian radar stations confirm it. “Detailed information about the operation of the Belgian F-16s in Syrian sky will be delivered to the Belgian side through diplomatic and military channels,” Konashenkov said. 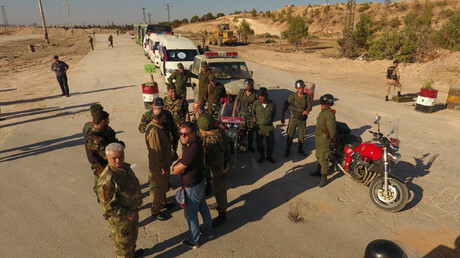 The two Belgian F-16 jets accused of the attack flew from the Muwaffaq Salti Airbase in Jordan, Russian Defense Ministry spokesman General Igor Konashenkov said, adding that they were immediately identified. “Every aircraft type has a unique identifiable signature,” he said. The Belgian warplanes delivered their night strike at the village at 00:35 GMT, about two hours after take-off, the general said. The attack left six civilians killed and four others injured. Russia tracked the flight of the two planes from Jordan to Iraq and Syria, as well as their encounter with a US KC-135 tanker, which refueled them over the Deir ez-Zor area, Konashenkov said. Another refueling happened almost an hour after the village attack, he said. 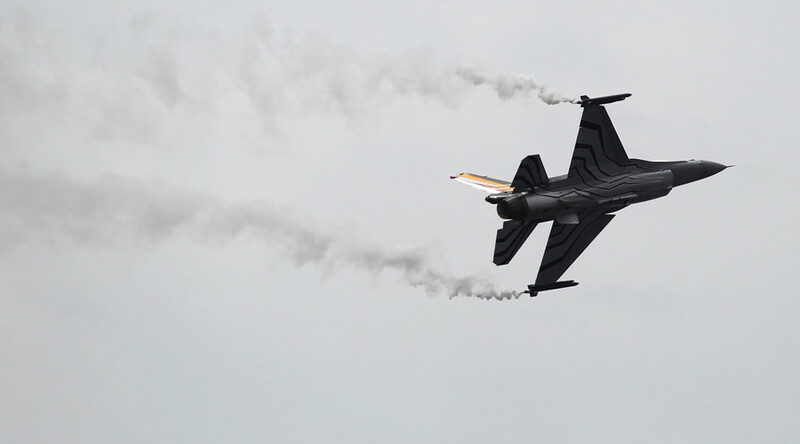 The Belgian planes continued patrolling around the city of Azaz in northwestern Syria and then flew towards Iraq, leaving Syrian airspace at 04:25 GMT, he added. The US-led coalition never informed Russia of the Belgian sorties, Konashenkov said, which goes against the usual practice. All the movements were detected by the Russian and Syrian air defense radars. “Russia has effective air defense measures capable of round-the-clock monitoring of the sky above almost all of Syria. In addition to ours, the airspace is also controlled by Syrian air defenses, which have been restored during the past year,” Konashenkov said. Responding to the new accusations, Belgian Prime Minister Charles Michel reiterated the denial of his country’s involvement in the bombing. “Judging by the information from the Defense Ministry, we have nothing to do with it. Of course the parliament will be informed of the role played by our military in the region in the hours or days to come,” he said before an EU summit in Brussels. Belgium earlier denied Russia’s accusations, saying none of its six warplanes contributing to the US-led coalition had flown over the region. The Foreign Ministry summoned the Russian ambassador to Brussels to voice its protest.